This 'how to self hypnosis guide' shows you how to effectively use self-hypnosis to get the best results from reprogramming your subconscious mind. Although reprogramming the mind may sound mechanical, you'll find the practice of self-hypnosis anything but. 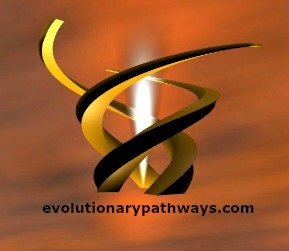 Effective use of hypnosis is about connecting and communicating with your living subconscious mind - returning to your natural, authentic instincts and the fullness of life that's yours. With the modern advent of self-hypnosis downloads you can now bring the world of hypnosis right into the comfort of your home. The relatively low cost of even the highest quality self hypnosis downloads you can find means you no longer have to wonder about the efficacy of self-hypnosis - since you can try it our for yourself with ease and minimal financial risk. With inspired life change so close to home all that's left is to give it a go. This how to self hypnosis guide addresses some thoughts you may have regarding how to perform self hypnosis for optimal results. There's really not much to it, but having a working understanding of this inspired practice will help you get the most of it. You'll be able to get started right away. "Absorb what is useful, discard what is useless and add what is uniquely and creatively your own." Learning how to do self hypnosis is to a large extent learning to simply relax, let go and absorb. You already know how to do this instinctively yet most likely you're a bit out of practice. Relaxing and letting go opens up direct communication lines between your conscious and subconscious mind. Guided self-hypnosis works to reconnect your natural abilities. In your natural state of relaxed alertness you're primed to make changes to conditioning (none other than your conditioned self and mind). Under the influence of your normal state of mind changes to your conditioning are resisted. Both body and mind tense-up imperceptibly bracing against the changes you want to make. Deep self-hypnosis helps you bypass this change-defeating tendency. The 'how to' of self hypnosis is about bringing your body and mind together in such a way as to side-step internal resistance to the life changes you're after. After all, it makes little sense to resist the very changes you're after if you know how right? Current conditioning is creating the resistance. The relaxed alertness of your body and mind will allow for change to take place at a subconscious level. Your conditioning is there to be worked with; it's destined for change. After all, who can stop you from learning how to do self hypnosis and proactively reprogram your subconscious mind? The only person that could do that is you! Is Your Conditioning Actually You? After years of conditioning it's easy to forget the truth of who you are. Conditioning may be mistaken for truth. When this happens it's easy to start thinking you'll never be able to change. This is one of the gifts bestowed by learning how to do self hypnosis. Not only do you realize you can change; but you also come to know conditioning for what it is - not really you at all. Your conditioning has been added; and what has been added can always be subtracted. That's how transformation takes place. It wasn't you that had to change at all. It's all that added crap that had to go. Do I Need to Believe in Hypnosis for It to Work for Me? Self-hypnosis is a method ... a tool, not a religion. As with any tool, it's meant to be used - not believed in. Of course it helps to have faith in your tools. You want to be confident you'll be able to accomplish the job at hand with the tools at your disposal. This how to self hypnosis guide is meant to give you confidence in your most important tool of all - your flexible and creative subconscious mind power accessed through hypnosis. Tools are meant to enable. They're meant to be wielded, not thought about. The person behind the tool is always the most important thing. With instant self hypnosis downloads you'll be working intimately with your very own body and mind. Give yourself to the process, devote yourself to the self-hypnosis tools of your choice and you will become more adept at connecting with your subconscious powers for change. Self hypnosis isn't a magic bullet or cure. It's a method that enables, opening communications between your conscious and subconscious mind without resistance or interference getting in the way. What a gift you give yourself by wielding this tool with care and full presence of mind! Listen to your self hypnosis downloads in a quiet place where you know you will not be disturbed for the duration of the session. If necessary, let people around you know not to disturb you for half an hour. Using a great set of earphones can enhance your experience since it will minimize auditory distractions and give you the feeling that you are listening to a voice that is speaking from within your own mind. It will still be effective even if you don't have the earphones though. Preparing yourself for the session by taking a few deep breaths helps to relax both body and mind - getting you off to a strong start. Self hypnosis is greatly facilitated through the relaxation of both body and mind (see more about the connection between relaxation and effective self hypnosis below). Self hypnosis is at its best when you aren't forcing anything. Don't try so hard. Relax. Keep in mind that with self-hypnosis there's nothing you need to force. Skill vs. willpower is what works in self-hypnosis. The skill you're actually developing - to a large extent - is the skill of relaxing and letting go. The skill of not trying - for with trying comes resistance. Just lay back, relax and rest your mind on the words. The process starts, new understandings emerge and changes are on their way. Habits are built on consistency and so is conditioning. If you want to rid yourself of conditioned patterns, you need to consistently apply yourself. These 10-steps for reprogramming the subconscious mind can help. Each hypnosis download session should leave you feeling more refreshed and alive than you felt before listening to it. Done properly self-hypnosis provides a highly enjoyable experience. In fact, if you aren't enjoying your sessions this can be a good indication that you're missing something in the way you're doing it. Use joy to fine tune your self-hypnosis practice. Refer to sections of this 'how to self hypnosis guide' to see where you might be missing something. At the end of the day getting the most from your deep self hypnosis downloads comes down to becoming comfortable with the process and adopting it as your own. Relaxing, being alert and letting go are all promoted by giving yourself fully to process. This may take some time. It may take some practice. But these instincts are already well within you, so it's only a matter of persistence before you're able to awaken them and bring them into full play. The results you get from your self-hypnosis downloads will deepen too. The potential benefits of properly learning how to do self hypnosis are significant indeed. This how to self hypnosis guide can help you decide if it might be a tool you'd like to try. As Bruce Lee advised, "Absorb what's useful, discard what's useless and add what is uniquely and creatively your own." I can't think of better advice to heed in working with the creative powers of your subconscious mind to become more of who you really are.